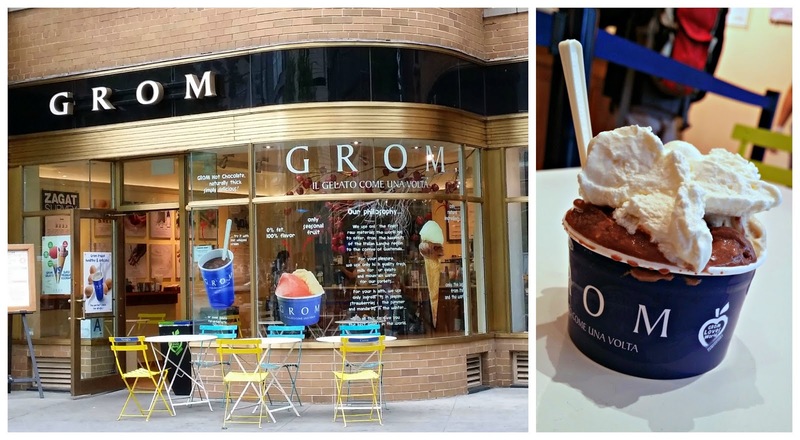 Photo Gallery Thursday " GROM Gelato"
Have you ever had gelato? It is an amazing creation. It is actually becoming more available in the supermarkets now, I see even Bryers has one, but I don't think I would trust them to try it. The best kind you will find of course would be in Italy, but some here at home rank pretty high. GROM gelato is one of those places. Their first location was on Bleecker Street, (still there) and I just never was able to get there. When I heard they opened near Columbus Circle, I was thrilled. It is such a fabulous location, lots to do in the area, and they have seating inside and outside. I had the Bacio with Tiramisu' and I was in pure heaven! It is so creamy, more so than ice cream (love that too) you must try gelato if you get a chance. It will blow your mind! If you are in the area of Columbus Circle, or Bleecker Street, and you see GROM, run in and get yourself some gelato! !